Furniture is a crucial component of home décor and given the incredible variety available today, all tastes and preferences can be easily met. Among the many furniture styles available, the traditional Turkish style has also gained immense popularity. The Turkish variety comes in an extensive range of designs, contemporary, modern and traditional. Turkish furniture suits most tastes as they blend in with many varying themes, colour combinations and add glamour to small and large spaces. They can complete your home or office space. Traditional Turkish furniture has unique pieces which set them apart from the rest. They come with unique and elegant designs engraved on their wooden structures which add to the beauty of the piece and complement the intricacy of the craft. 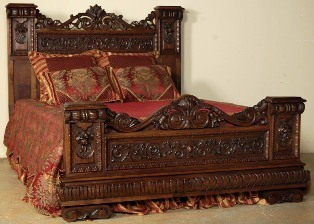 The ornate designs are featured in furniture pieces for the entire home. Whether you are decorating your bedroom, living room, dining or drawing room, you are sure to find something for every room. The colour palette involves bold colours such as silver and gold and there is a range of polishes available for the wood. The furniture is also available in lighter shades of natural wood, cream and white. These pieces are suited for all kinds of décor, colour schemes and wall colours. The traditional Turkish furniture has always made use of silk and satin fabrics which come in bright colours and bold designs. With the changing trends, lighter colours have also been incorporated in the fabrics. Plain, self colour designs and textured variety are also available. You will also find Turkish furniture in leather. They make comfortable and attractive furniture pieces to complete home or office décor. Each piece is designed intricately and reflects the Turkish handcrafts. There are some distinctive pieces that set apart them. The sandik is a common furniture piece found in many Turkish homes. It is a chest used for storage purposes. They are mostly made from wood and dower chest. They come in many varieties such as embroidered, carved, painted, golden, silver as well as those covered with fabric. The sandik comes with coffers and small compartments. The Kavukluk is a wall shelf that is hanged or mounted on the wall. It consists of two to three pieces and is used to carry lighting equipment. They gained a place in ottoman palaces for their decorative identity carrying mirrors and decorative items. The Serbetlik is a panelled wardrobe that has been found in Turkish homes since the 18th century. It comes with ornamented shelves and is placed in the middle of the walls of the room. The come with small niches on the side called Gilve. They are used for decorative objects such as water bottles, vases, oil lamps etc. The front and sides are usually made from carved wood and designed with flowers, plants, rosettes and paintings. Its lower parts have small compartments which are used to place plates, cups, glasses, pots etc. Purchase traditional Turkish furniture if you are looking for functionality and comfort while adding style to your space.